Introduction to Group Lodging » What is Group Lodging? roup lodging facilities are public facilities that are not normally used for living purposes, but have been adapted to provide shelter style accommodations for large numbers of people who have been displaced from their homes as a result of an emergency or disaster. These facilities, usually local community centres, school gymnasiums, and arenas, are designated by the local ESS team, in cooperation with the local authority. At a GL facility, individuals will normally be provided with a sleeping space, meals, as well as information about the emergency situation. 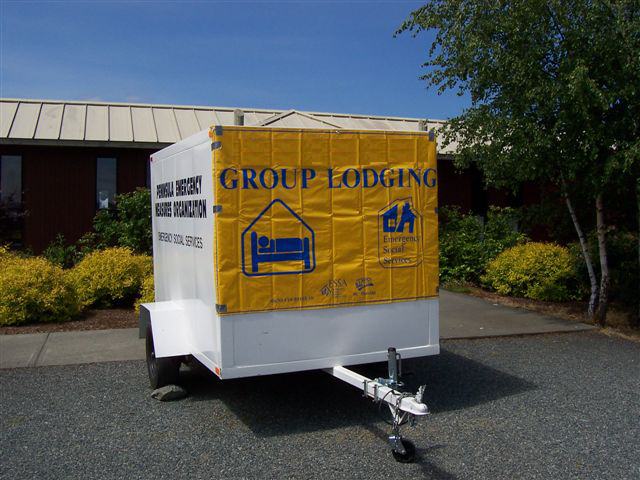 Group lodging has sometimes been referred to as congregate lodging, evacuation centres, disaster or emergency relief centres, emergency shelters, emergency accommodations, or emergency housing. Reception centres (RC) are sometimes confused with GL because GL may address all evacuee needs or sleeping accommodations are sometimes located in RCs. While both of these scenarios are possible, RCs and GL are separate entities with separate functional roles. The planning to be completed in the pre-disaster phase by the ESS team for RCs must also be done for GL in order for an ESS team to effectively respond to a disaster. The ESS plan is part of the local emergency management plan and usually includes lists of local suppliers who have agreed to provide resources in the event of a disaster. Just like the planning for sites for RCs, sites to be used for GL will also have been identified during the pre-disaster planning phase, as well as contingency plans to deal with potential issues such as power outages, water shortages, and lack of resources. Note that some RC sites may not be suitable for GL or vice versa.